Dubai: The United Arab Emirates is fully complying with sanctions imposed this month by the United States on Iran even though it will mean a further drop in trade with Tehran, a UAE economy ministry official told Reuters on Monday. Washington announced on November 5 a series of sanctions targeting Iran’s banks, shipping sector, national airline and 200 individuals after President Donald Trump pulled the United States out of an international nuclear deal with Tehran. “We are implementing the sanctions,” Abdullah Al Saleh, undersecretary for foreign trade and industry, said in an interview in Dubai. The UAE is enforcing the US sanction regime “as it is published by the United States”, Al Saleh said, adding that the relevant authorities would ensure compliance. Al Saleh said the UAE’s trade with Iran is expected to decline this year and next year due to the sanctions, after falling to $17 billion (Dh62.44 billion) in 2017 from a peak of $20 billion in 2013. Most trade consists of re-exports via Dubai to Iran. The UAE is among US allies in the Gulf region that staunchly oppose Iranian foreign policy and swiftly backed Washington’s decision. It is also a member of a Saudi-led coalition that is opposing the Iran-aligned Houthi group in Yemen’s civil war. Compliance will mean UAE companies do not face difficulties in the United States, and the UAE government will look to boost trade with other markets such as Africa and Asia to offset the impact of the sanctions on its own economy, Al Saleh said, repeating an existing government policy to diversify trade. 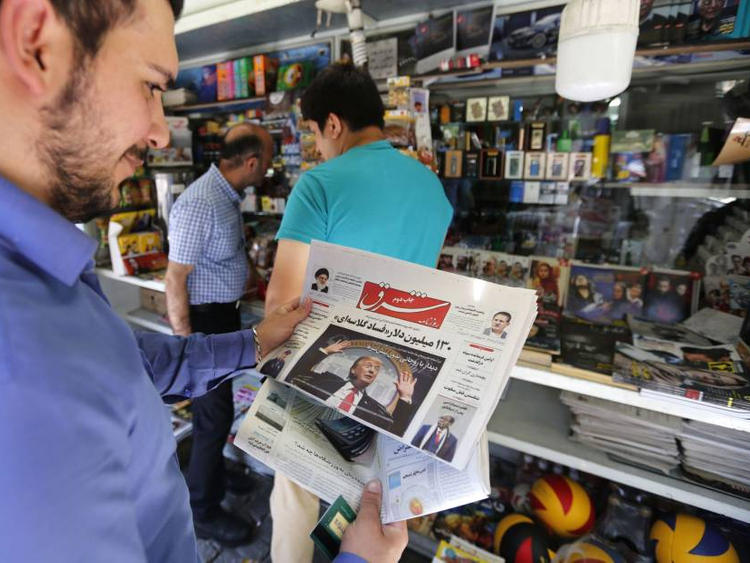 Trump’s administration has threatened those who continue to do Iran business with the prospect of losing access to the US market, although it has given temporary exemptions to eight importing countries to keep buying Iranian oil. The European Union, France, Germany and Britain, which are trying to save the nuclear deal, have said they regret the US decision and will seek to protect European companies doing legitimate business with Tehran.